According to a recent survey, almost 82%of those who live in Gilgit Baltistan dissociate themselves from Kashmiri identity. The Empowerment and Self-Governance Order 2009 has assisted the population in acquiring greater political empowerment and governance for the region. The population is continuously denied constitutional rights and faces health, education and employment issues. An overwhelming majority of youth recently interviewed in Gilgit-Baltistan dissociated themselves from the Kashmiri identity. 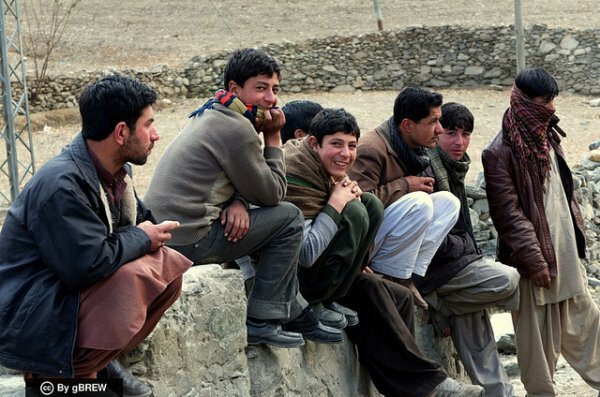 “Almost 82% people surveyed preferred to call themselves Pakistanis and dissociated themselves from the larger Kashmiri identity,” said Waqas Ali, the principle author of the report titled ‘Unheard voices: Engaging youth of Gilgit-Baltistan’. He said this at the launch ceremony of the report. The event was organised by G-B Policy Institute (G-BPI) in collaboration with Centre for Peace, Development and Reforms (CPDR). The ceremony was chaired by Minister for Works Dr Muhammad Iqbal. Taqi Akhunzada is the other author of the report compiled under the auspices of CPDR, against the backdrop of the Kashmir conflict and the constitutional limbo that G-B has been in for over six decades. Nearly 500 men and women between 18 to 35 years from the region were interviewed, said Ali. Almost 82% of those surveyed believed the introduction of Empowerment and Self-Governance Order 2009 is a step in the right direction. At least 70% participants believed the order provided them their identity and, at the very least, a space where they could legislate on a range of local issues. The order suggests the people of G-B should be provided greater political empowerment and better governance. The report says continued denial of constitutional and political rights under the pretext of the Kashmir conflict has created a deep-rooted suspicion in the minds of locals, who are among those who joined Pakistan after independence without setting any conditions. Most participants of the survey felt there remains a huge trust deficit between the people in G-B and Azad Jammu and Kashmir as they believe leadership of the latter is a key obstacle when it comes to political rights of the former. However, there were also many who underlined the need to reopen the old road link between the two territories so a relationship based on mutual trust and respect could be established. Health, education and unemployment are the top concerns of the youth of G-B, says the report. The research not only covers all major issues, but also gives a detailed account of the genesis of various issues young people face in G-B. Ali is of the view that more than anything else, it is the state structure that makes people feel disengaged and alienated from the federal government as the latter hardly allows them access to the decision-making process. According to the report, the G-B Council, established in 2009 as an upper house with the prime minister as its chairman and six federal ministers as its members, has become a major decision-making body which undermines whatever limited autonomy is available to elected leadership. The elected Legislative Assembly is now functional, but all major decisions are still taken by the federal government in Islamabad through G-B Council. “It has made the G-B government a subservient body in the eyes of locals,” says the study.